As National Nutrition Month, March is the perfect time to build healthier habits for eating and exercise. The Academy of Nutrition and Dietetics addresses the rising levels of obesity through recommendations for diet and exercise. Recent reports project that by 2030, half of all adults (115 million adults) in the United States will be obese. According to the HHS, the typical American diet exceeds healthy levels of solid and saturated fats, added sugars, refined grains, and sodium. Additionally, only one in three adults receive the recommended amount of physical activity each week. Ready to spring ahead to healthier habits during National Nutrition Month, 2018? Here’s what you need to know about managing a healthy body weight. While weight management comes down to balancing calorie intake and expenditure (calories in versus calories out), the increase in US obesity is also impacted by available foods, dietary patterns, and activity levels. Since the 1970’s, the number of fast food restaurants in the US has more than doubled. While healthy options are available at many restaurants, the proliferation of hyperpalatable foods makes it easy to consume more calories than our bodies need. These meals are unlikely to include fresh fruits and vegetables, making it easy to overconsume calories while underconsuming nutrients and filling fiber. These grab and go meals may also decrease your awareness and mindfulness while eating, making you less likely to feel satisfied and more likely to overconsume. While fast food and hyperpalatable foods may not be the only causes of obesity, they do increase the likelihood that we will not respond efficiently to our body’s natural signals of fullness and appetite control. Becoming more aware of the impact of your daily choices is key to reaching and maintaining a healthy weight. The good news is, sticking to your daily healthy habits doesn’t have to be overwhelming. Easy to use apps and technology put expert advice and planning at your fingertips. Ranging from absolutely free to around ten dollars per month, you can get customized expert advice and planning for less than the cost of a fast food meal or drop-in gym session. Here are some of the best tricks to help you stay on track. Stay active. Regular physical exercise is key to reaching and maintaining a healthy weight. Not only will you burn calories during your workout but also increase your metabolism by building muscle and cardiovascular fitness. This makes it easier to balance your calorie intake with your needs. Aaptiv is a workout app that provides a simple solution to getting an effective and motivating workout. The app gives well-rounded fitness programs wherever you are. It includes cardio training, strength training, and flexibility workouts with different coaching styles and music. You can choose a workout tailored to your fitness level and goals. Scheduling regular meals with your family is one of the best things you can do for their future. Regular family dinners are one of the biggest steps you can take towards fighting obesity in your own home. In addition to improving portion control and consumption of fruits and vegetables, regular family meal times are strongly linked with everything from improving academic performance to reducing drug and alcohol use. Plan to Eat makes meal planning simple. 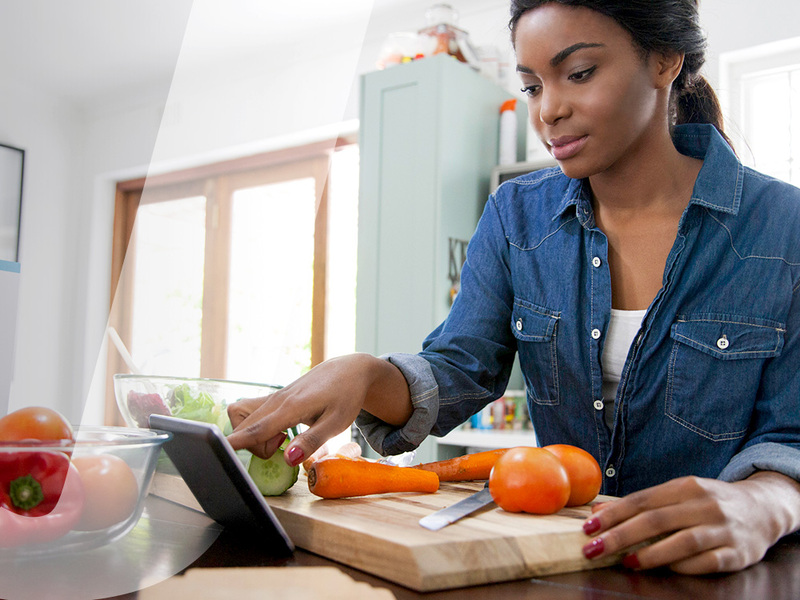 You can swap meals depending on your schedule, save favorite recipes, and keep your grocery lists in one place. Prep fruits and vegetables ahead of time. Beat the challenges of your busy week by prepping fruits and vegetables ahead of time. Bagged salads, prepped vegetables, and pre-washed fruits can make their way to your table or lunch bag in seconds. Offer kids a choice of options from what you have prepared and remember to keep offering and encouraging. Foods may need to be offered 15 or more times. The key is to be patient and positive. Fitlegit will can give you help with planning a menu that fits your nutrition needs. This can help you build a solid foundation of knowledge for what types and quantities of food you should be getting into your diet. Eat satisfying foods. Including higher levels of protein in your diet may make it easier to feel satisfied on fewer calories as well as supporting muscle development. This is especially important as we grow older. Additionally, including more fruits and vegetables in your diet can make you feel full on fewer calories, while also improving your nutrition. MyFitnessPal gives you a plan for tracking and documenting your food intake, including tracking your calories and macro-nutrients (i.e. carbs, fats, and proteins) and daily activity level. Looking for a more customized prescription? Avatar Nutrition provides customized recommendations for calories and macronutrients based on your goals (weight loss, muscle gain, or increasing metabolism). Get Started on Your Personal Healthy Weight Plan.